Phyllis & Katie, photo by Harold Davis. When Phyllis holds Katie Rose, first Katie explores. She touches Phyllis with her hands, squeals, and makes little grunts. Her eyes open. She tries to look around. But it’s hard work for her to keep those eyes open, and pretty soon Katie is fast asleep. Phyllis drifts off pretty quickly too, a smile of contentment on her face. 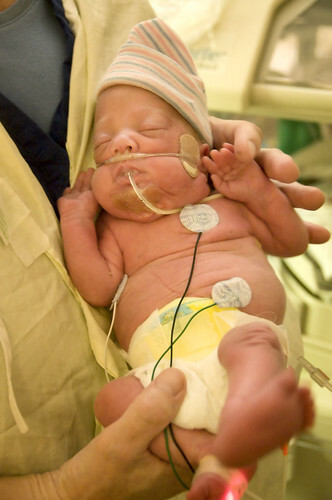 In this photo, the nurse held Katie for me in the process of putting her back in the isolette. As you can see, Katie keeps on growing. She’s over 3 pounds 9 ounces. She’s got some pudge and is a far cry from the tiny little thing of only a few weeks ago. Some of this growth can be attributed to the merits of Phyllis’s milk, which they feed to Katie using gavage (a feeding tube) and a pump. Probiotic bacteria are added to the milk to aid digestion. Katie also gets shots of Epogen, a biotech blockbuster drug from Amgen primarily used for anemic patients. In Katie, the drug is used to help the growth of red blood cells. Phyllis pumps alot of milk for Katie. She pumps milk every two hours or so. She is running a surplus. 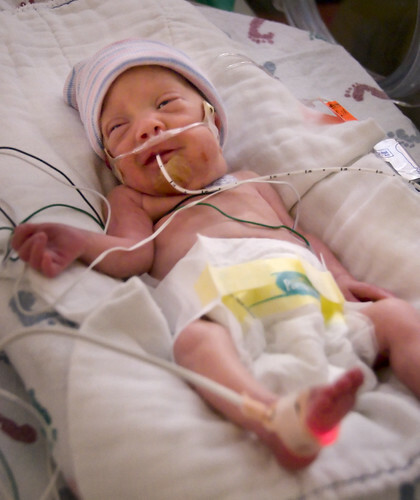 She recently gave literally gallons of milk to the San Jose Mothers Milk Bank, where it will help feed other preemies who are not as lucky as Katie with their mother’s milk supply. Nicky on Black, photo by Harold Davis. Nicky and I were fooling around taking his picture. I gave him the flower-on-black treatment: I covered a high-backed chair with black cloth, and put him on the chair. Then I radically underexposed to enhance the depth of black in the background. I was careful to focus precisely on Nicky’s right eye. 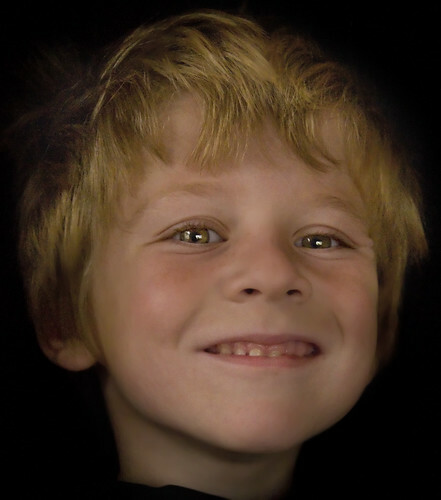 In post-processing, I pulled Nicky out of the darkness layer by layer. Next, I selectively softened the image using the Smoothness setting on the Filter palette of the Noise Ninja Photoshop plug-in: both to compensate for the noise in this high-ISO image and to create a pleasing softness in the face and hair. Finally, I shifted the image to LAB color mode, and carefully used the luminance channel and layer masking to modestly sharpen Nicky’s eyes, and only Nicky’s eyes. 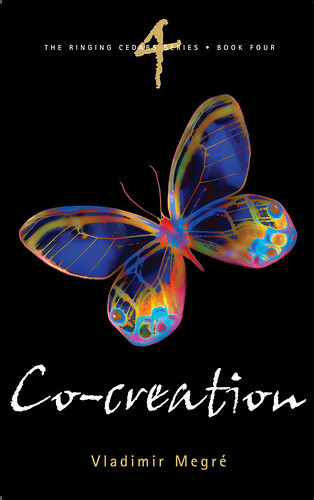 Introduction to Clinical Psychology cover, image by Harold Davis. 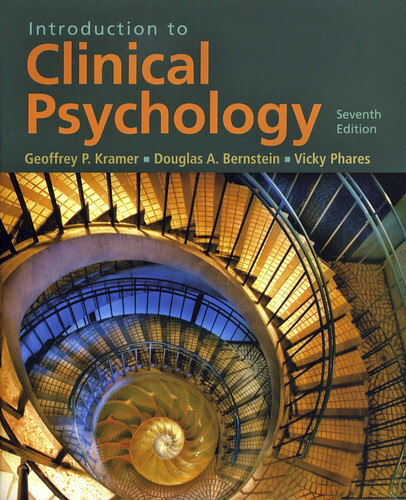 This is the cover of the 7th edition of Prentice Hall’s Introduction to Clinical Psychology textbook. 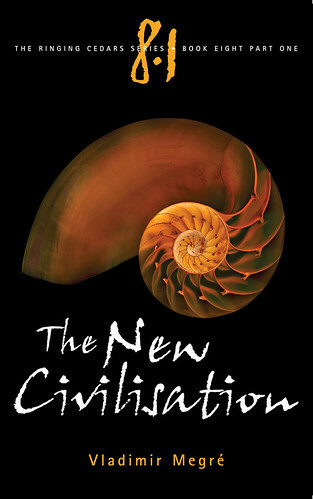 The image is my composite of a spiral stair and a chambered nautilus shell. You can read the back story of the composite Spirals image here. Worth noting: this is a publisher with on-staff photo researchers. They found my image by browsing Flickr. Azalea Sunset, photo by Harold Davis. View this image larger. 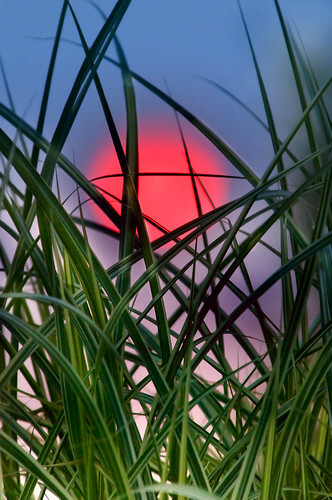 The sun was a fiery orange ball setting in a North California sky hazy from forest fires. I ran out with 400mm of telephoto (600mm in 35mm terms) and focused on plants in the foreground to take advantage of the dramatic solar appearance. We’ve had a couple of spells of really warm weather lately. This is an unusual pattern for the San Francisco Bay area in summer. It is well known that summer weather in San Francisco is often cold and foggy. On one of these hot and sultry summer days Mark and I started down the trail for Tennessee Beach well after sunset. 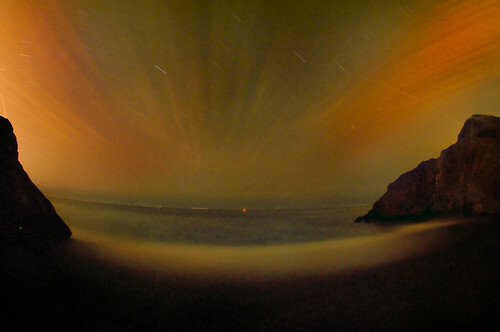 It was night by the time we reached the ocean. The stars were out and the moon hadn’t risen yet. It was cool and relaxing after the hot day sitting on a ledge above the beach in the darkness. I made four exposures while we sat and chatted. Everything looked dark, so I was surprised to see oodles of color in the LCD screen after each exposure. No matter how many times this happens, it always surprises me. In an apparently dark and monochrome world, there are transcendentally beautiful colors. Where do the colors in these images come from? 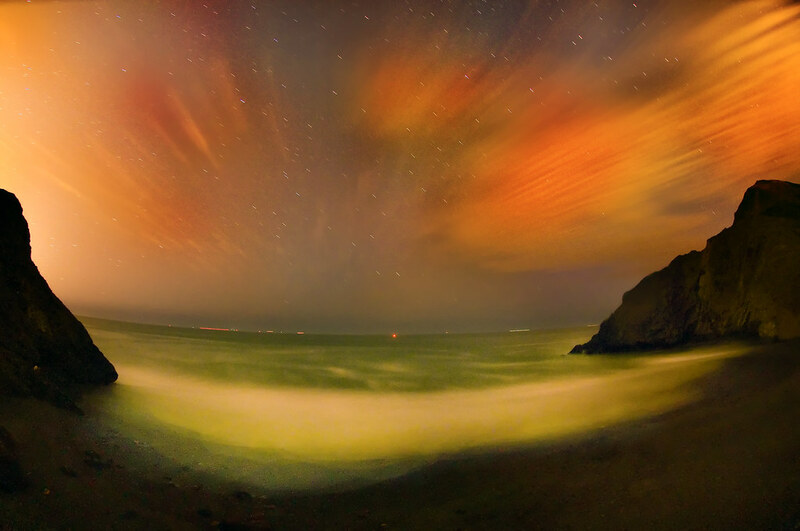 I’ve two theories: possibly the colors in the clouds are ambient light from the city of San Francisco, reflected off clouds and around the bend. Also, some of the colors may be left over from the sunset. I’ve noticed that these colors do grow less vivid as the night progresses. Our human eyes simply don’t have great sensitivity to the light waves that are present after sunset. (Vincent van Gogh may have been an exception.) Digital sensors do, and maybe animals of the night see these colors as well. At a recent workshop I gave, I was asked whether I worked to recreate a scene the way I saw it when I was there. I answered, to a certain amount of gasping, that actually I didn’t care what a scene I photographed “really” looked like; my concern was for the way my imagery came out. Of course, the merits of photographic fidelity to a subject depend on the goal of an image. Journalistic photographers and documentary photographers are correctly held to a standard of recreating the actual look of their subjects. On the other hand, advertising photographers have the intentional goal of misleading by exaggerating the visual benefits of the products they shoot. I believe, as a photographer with the stated goal of creating art, that what “was there” when I took the original photo is essentially irrelevant. One reason I use the term “image” to describe the pictures I make, rather than “photo” or “photograph”, is to say that my work cannot necessarily be regarded as a literal depiction. It takes work to tease these colors out of my RAW files. True, I couldn’t tease them at all if something wasn’t there in the first place. But still, in someone else’s hands these images would be processed very differently. For me, I care far more about the final visual result than the classification of the technology used to create the image. I’d be happy to use digital photography and post-processing to make night landscapes in the tradition of van Gogh’s magnificent Starry Night. What you see is not always what you get. There’s nothing more snoozy than having a warm, happy baby on one’s chest. I was holding Katie yesterday, she looked out with her bright eye, but soon we both fell fast asleep. We are very pleased that Katie passed a follow-up brain scan the other day with no signs of PVL, something that in theory could have shown up at about this point. Go, Katie Rose, go. Grow, Katie, grow. You are doing fine! In November of 2007, while I was clambering around Zion Canyon at night, exploring the Wave, and getting lost in the desert, Phyllis fielded a business call from Ringing Cedars Press. 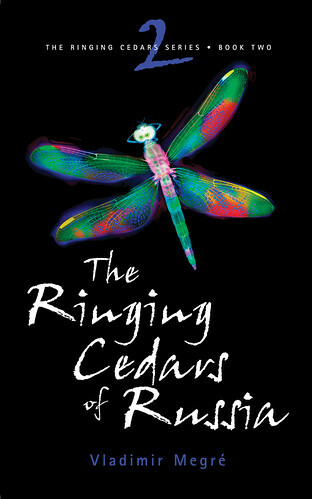 Ringing Cedars is the English language publisher of a series of books by Vladimir Megr&#233. The Ringing Cedar series is a massive bestseller in Russian. While an English edition was in print at the time the Ringing Cedars publisher contacted us, the publisher was interested in creating a completely new and elegant design for the United States market. To this end, the publisher had hired noted book designer (and artist) Bill Greaves and conducted a massive artist search. The goal was to find an artist with a body of work that could used as cover art. 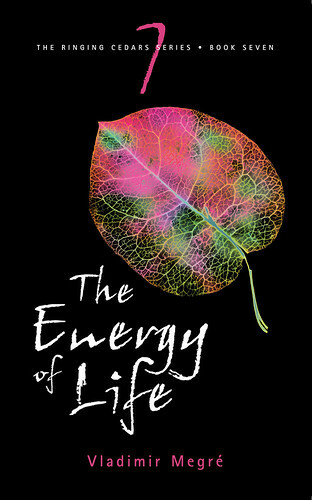 The cover art had to convey inspiration, and that it was both natural and imbued with a strong, creative life force. In addition, the art needed to be unique, distinctive, instantly recognizable, and cohesive. With these requirements in mind, the Ringing Cedars publisher was interested in my Digital Photogram series, which they had found on the Web. You can read more about some of the techniques I used to create this style of image in Xrays, Photograms, and Cross Processing, Oh My! Here’s a product shot of the nine Ringing Cedars covers in a group. The deal that I eventually negotiated with Ringing Cedars for the cover art was interesting because it was one part licensing, and one part assignment. Six of the images that wound up being used on the series cover were licensed, with minor modifications in some cases. On the other hand, I created three new cover images to fit the specific needs of the series titles. I always enjoy this kind of creative image creation, which usually leads me into some neat places in the process of fulfilling the needs of my client. In the same way that the business arrangements were both fish and fowl (licensing and assignment), in a very real sense all the Ringing Cedars cover images involve both photography and digital painting. Each cover image is different in terms of where it falls on this spectrum. 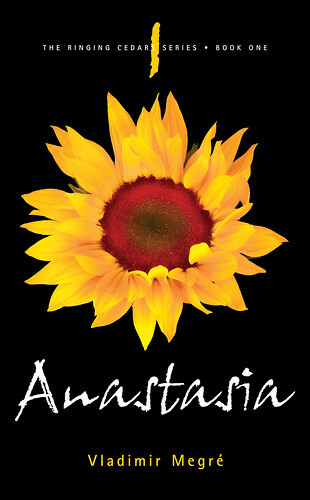 For example, the sunflower used for the cover of the first volume (“Anastasia”) is pretty much a digital photo, whereas the butterfly used on the cover of the fourth volume (“Co-creation”) is mostly digital painting from an original photo. That said, I think the team consisting of the publisher, the designer Bill Greaves, and Phyllis and myself, did a wonderful job of coming up with a cohesive look across a wide range of subjects. Generally, I’m appreciative of how well this team worked together. It’s rare in my professional experience to have a group of creative people working together with so much good will and positive energy. Without further ado, here are the nine Ringing Cedars covers (along with some links to stories about how the images were created). I blogged the image used on this cover here. We ultimately cut the flower off its stem to make it “float” on the black background. 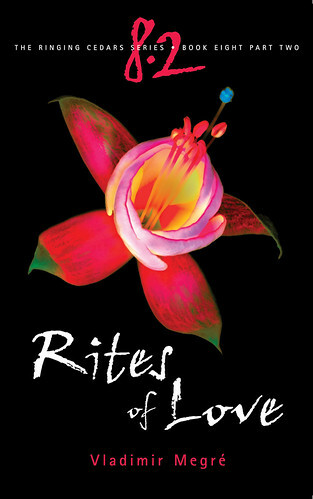 At the request of the client, I also worked in Photoshop to enhance the red glow in the center of the flower. 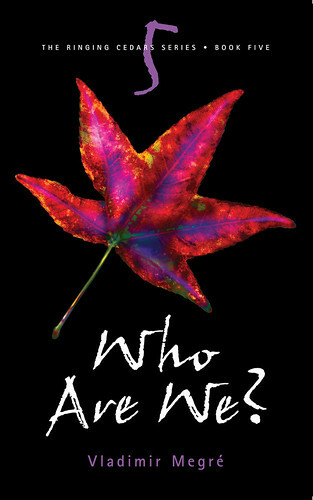 I blogged the image used on this cover here. More dragonfly images in this series. 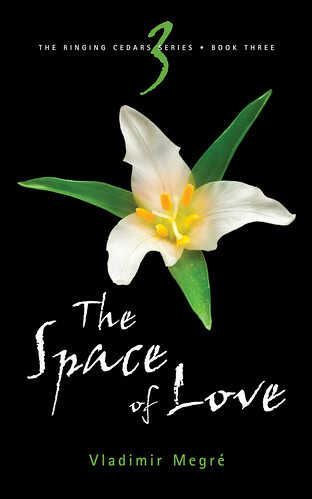 I blogged the image used on this cover here. Balloon Flower on Black, photo by Harold Davis. View this image larger. 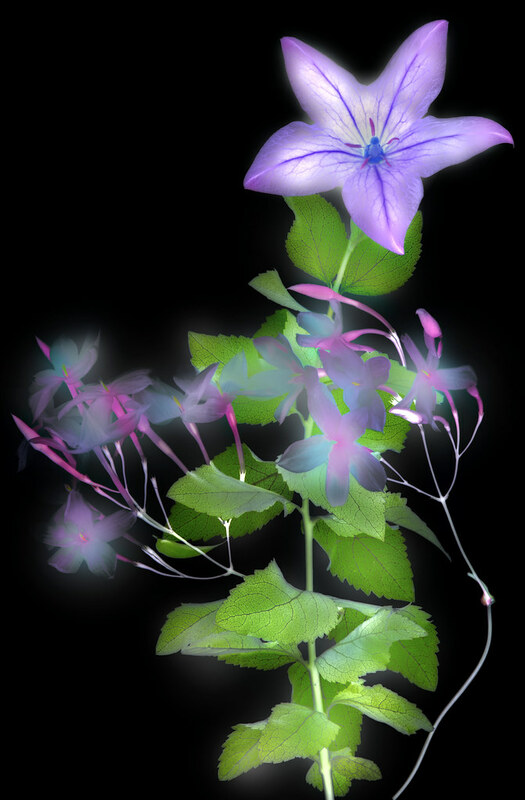 I photographed this Balloon flower and jasmine arrangement on a black background. Unlike Playcodon and Jasminum, where I was intentionally looking to create a “botannical print”, with this arrangement of similar flowers I wanted to make the subject pop out from the background in an almost strident fashion. So I used two pinpoint LED lights to light the flowers, and worked from three captures. I processed the darkest one first (1/2 of a second shutter time) to get the black background in place, then layered in the lighter (longer) exposures. 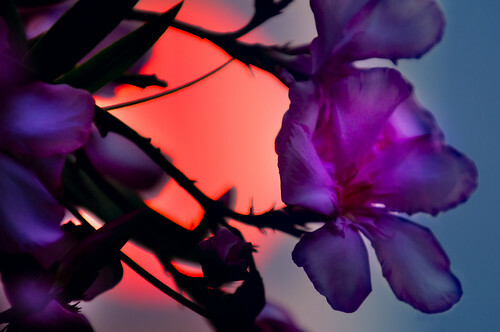 With the lighter exposures masked, I “painted” in white on the layer masks to reveal the brightly lit flowers. 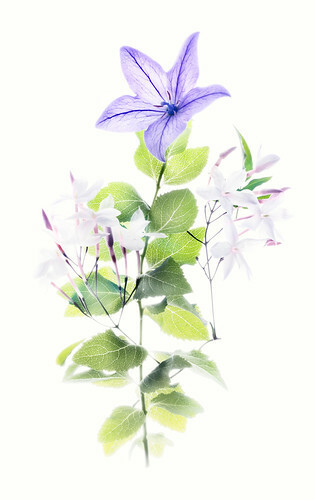 Platycodon and Jasminum, photo by Harold Davis. View this image larger. This is a photo-composite created using several captures of a Balloon flower (Platycodon) surrounded by Jasmine on a white background. My idea was to create an image that looked a little like an old-fashioned botannical illustration. To this end, I purposely used a white background that has a slight yellow tint. I also used lighting that minimized the contrast range in the image. As you can see, there are hardly any shadows. In some contexts, this kind of lighting is called high-key lighting. The point is usually to create a lighting setup that will work without changes over a number of subjects. In this case, I used high-key lighting (of a sort) to create a flat, almost two-dimensional look (in keeping with the botannical print theme). Finally, as I noted, this is a composite image created from a number of exposures. All the exposures are biased to the over-exposure side. Even the shortest exposure time I used (one second) read on my light meter as an over exposure. The point of over exposing was to increase apparent transparency. Some related links: Harold Davis Flowers on White Flickr set; White Anemone; Thrice as Nice; Alstromeria. The Lithographers Club of Chicago is a printing industry trade group. 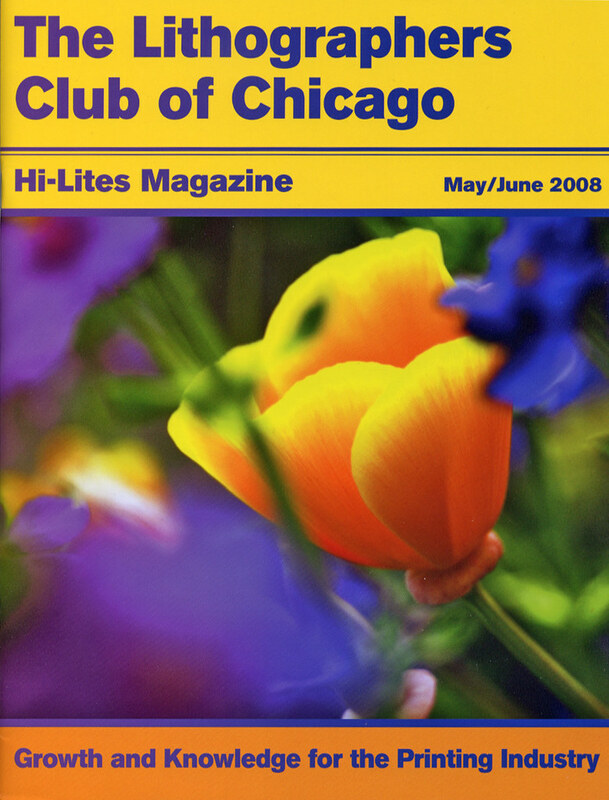 They selected an image of mine to use for the cover of their May/June 2008 magazine issue (the cover is shown below). Printing was contributed by Komori (they are a large manufacturer of printing presses) and demonstrates the Hexachrome process-color system. I’ll explain Hexachrome color later in this story. 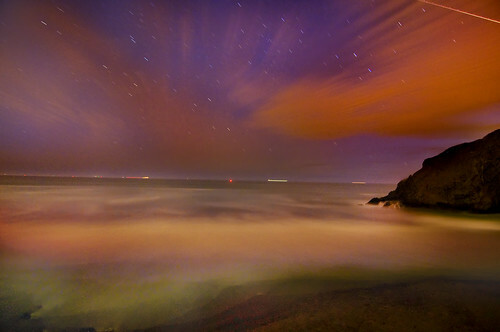 Here’s my photo Wind, taken as a full horizontal, but cropped for this usage to fit the vertical cover format. You can read the story of how I came to make this image originally. Hexachrome color is a six-color process devised by Pantone in the 1990s. 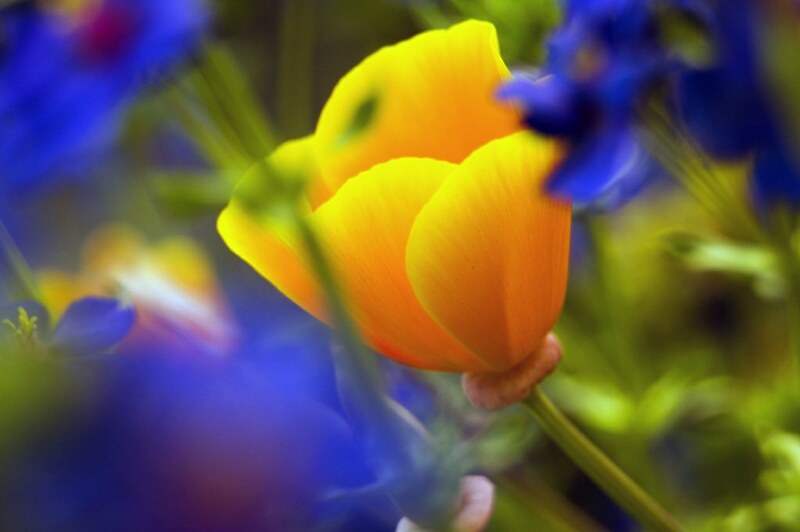 As you likely know, most process color printing is done with four process-color inks. The four process colors are Cyan, Yellow, Magenta, and Black (or CMYK for short). The two colors that Hexachrome adds to CMYK are Orange and Green, so the six colors in Hexachrome process color are CMYKOG. What’s the point of this? From the viewpoint of the digital photographer, the range of colors, called the gamut that CMYK can reproduce is limited. If you’ve ever had your photos reproduced via offset, you’ll know that some of them come out OK, but others lose a substantial part of their color range. 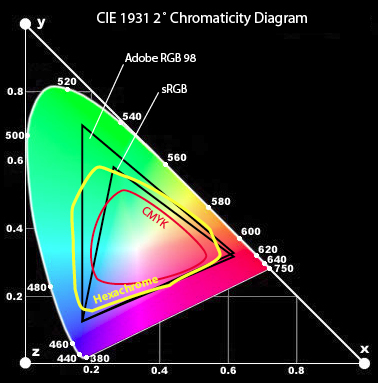 CMYKOG (Hexachrome) has a much greater gamut than CMYK (see diagram below). In fact, the Hexachrome gamut falls somewhere between the sRGB and Adobe RBG 1998 gamuts, making photos reproduced via Hexachrome look very comparable to what you see on your RGB monitor (and your camera LCD). If you’ve ever flipped the color profile of an image in Photoshop from RGB to CMYK, and watched a huge color shift occur, you’ll know that this is potentially a big plus for digital photographers. Commercial printers may not care so much about fidelity to an on-monitor RGB version of a photo. But they do have concerns about efficiency. For these printers, an important benefit of the Hexachrome process color system is that most of the solid colors included in the Pantone Matching System can be simulated using Hexachrome color. Simulating PMS colors means you don’t have to stop printing presses to prepare special plates for spot colors that have been specified using the PMS system (a common occurence in applications such as packaging). This translates to a potential boost in efficiency and cost savings. So how does my photo do in CMYKOG? This is an image that has been reproduced a number of times in books. Each time, I’ve had to work on the CMYK files. But this time the reproduction shows the full range of colors in my photo and looks pretty much just like it does on my calibrated monitor—straight from the RGB file, with no special prep work on my part. In other words, I like it. Richmond-San Rafael Bridge, photo by Harold Davis. View this image larger. 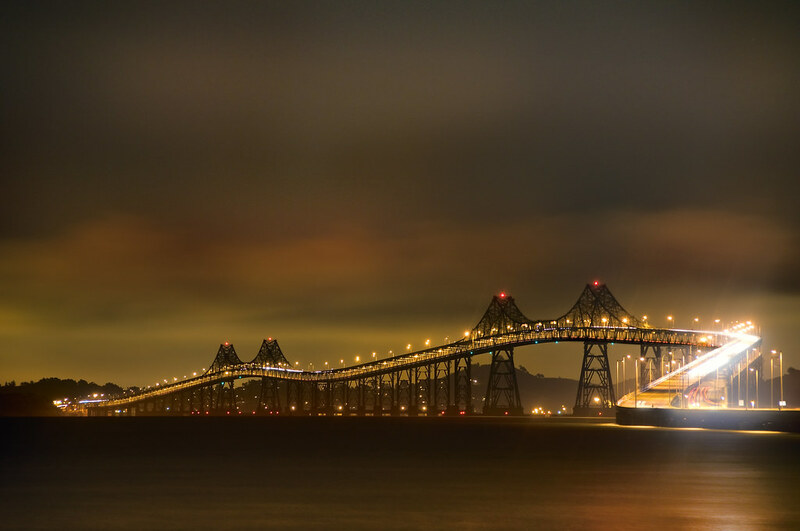 At one time one of the longest bridges in the world, the John F McCarthy Memorial Bridge is a double cantilever structure stretching across the San Francisco Bay from Richmond to San Rafael. Certainly not the most glamorous bridge across the Bay, the snake-like twist in the structure adds visual interest, particularly under cloudy night skies. 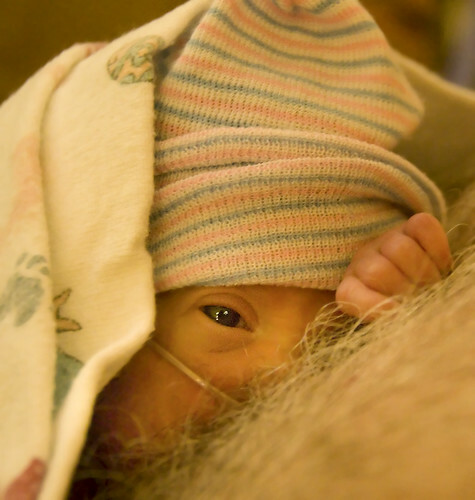 When we visit Katie Rose in the NICU, if she isn’t fast asleep, she opens her eyes, and smiles at us in greeting. Her eyes follow us until she gets too tired to keep them open (keeping her eyes open is hard work for this little girl). She’s got dimples, and her smile charms us no end. Yesterday, Phyllis got to Kangaroo hold Katie. 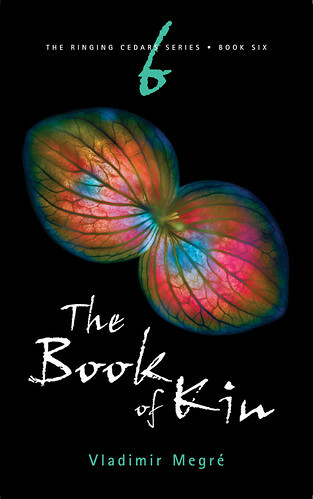 Katie looked around, exploring visually and with her hands, before settling in for a deep sleep. 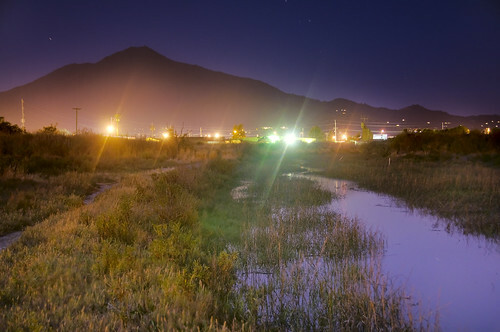 Mount Tamalpais from Corte Madera Creek, photo by Harold Davis. View this image larger. 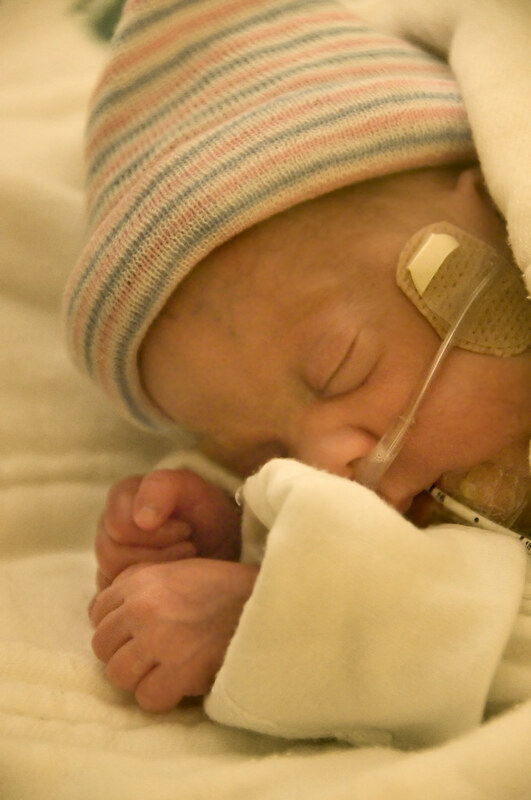 A long, happy, tiring, and exciting day began for me with a visit with my three boys to Katie in the NICU. I then spent the afternoon giving a digital landscape photography workshop to full house of enthusiastic photographers under the auspices of the Point Reyes National Seashore Association. If you are interested, I’ll be giving this one-day digital landscape photography seminar again on October 26 in the Red Barn at the Point Reyes visitor center. I’ll post more information once a registration link is available. Afterwards, as darkness covered the landscape, Mark and I wandered around taking pictures. This image is from the tidal flats near Larkspur, by the banks of the Corte Madera Creek, looking back towards Mount Tamalpais. I was trying for a frontal view of San Quentin prison at night from the mud flats, but saw this neat night vista behind me. 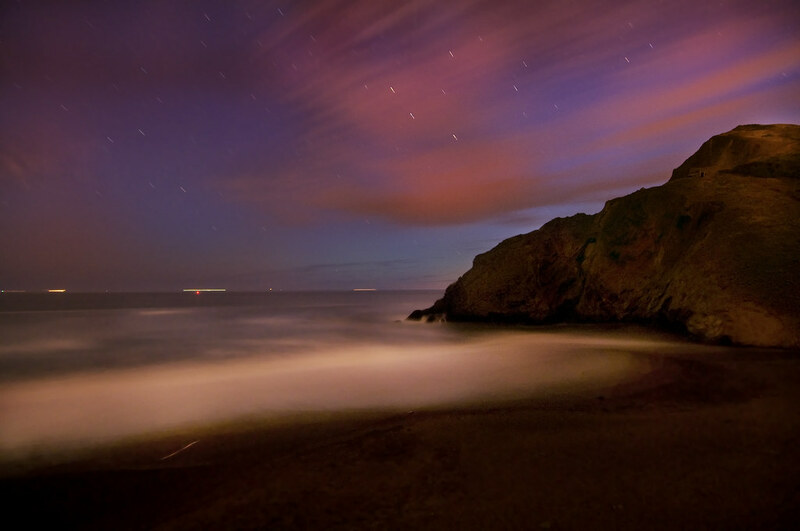 While it was pretty much night, there was plenty of ambient light from the Marin cities, as well as a half moon. The interest for me in this photo was the way the various kinds of light mix to make an interesting melange of colorful night. Father’s Day, photo by Harold Davis. For Father’s Day I got to kangaroo hold Katie Rose, the best gift of all. 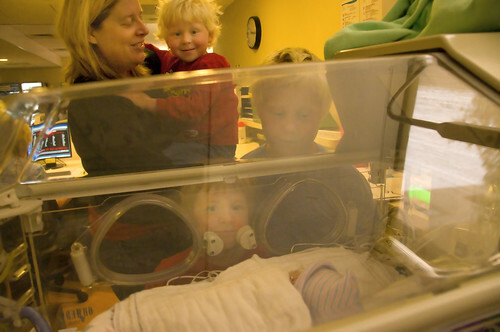 Yesterday we took our three boys to visit their sister Katie Rose in the NICU. Katie was resting peacefully. Katie’s three brothers lined up to take a good, long look at their sister. I think the brothers will probably look a little more imposing in the future when she considers bringing her dates home. 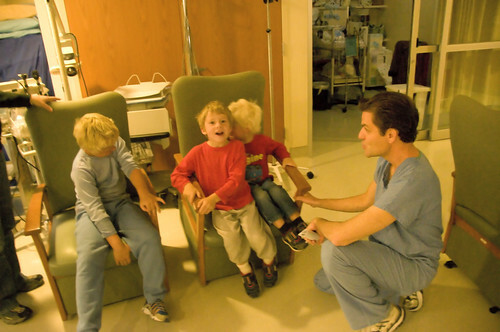 While we were in the NICU, neonatologist Doctor Christopher T Retajczyk talked to the boys. He’s “Doctor Chris” for ease of pronounciation, and he helped at the miracle of Katie’s birth.